We know you’re on a hunt for a high-performance external SSD, and we have the right deal for you from SanDisk, that too in the 500GB flavor. Little do people know that SSDs aren’t just limited to high-end computers. You can buy them as portable, external drives too. SanDisk has a hot deal right now on one of its portable SSDs in 500GB capacity and the price is down to just $109 from $170. That’s a big drop considering what you get once you part from the money. First and foremost, we are dealing with 500GB of storage here, which is more than what laptops and desktops ship with these days, provided that they have a SSD installed inside. 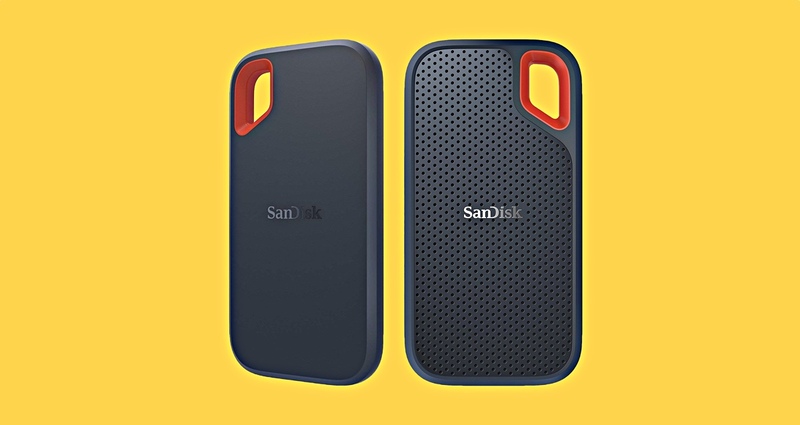 Furthermore, the SanDisk Extreme Portable SSD features a blazing fast read speeds of 500MB/s. But wait, there’s more – this drive has ‘Extreme’ in its name for a reason, and that reason is the IPS5 rated enclosure this SSD comes with. This means that this thing is extremely rugged, can withstand dust and a little splash of water here and there is no big deal. Topping things off is the fact that this thing works across all platforms, including Windows and Mac. So what are you waiting for? Pick one up today and start backing up your data on the fly without ever worrying about it slowing down.